On Saturday evening the girls played the last round of this year’s Senior League against St Mary’s in Gurteen. 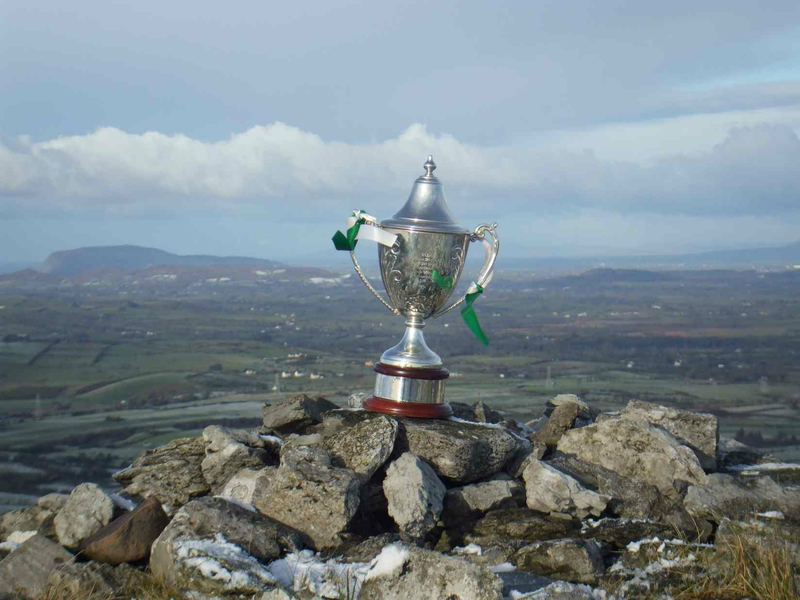 This fixture brought back fond memories for Harps supporters and players as it was a repeat of last year’s Intermediate Championship final. Just like last year’s final this game was a goal fest with 10 goals scored between the 2 teams over what was a very entertaining hour of football. This was a much improved performance from the Harps girls having picked up where they left off with a determined display against St Nathy’s 7 days earlier. Despite this however it was Mary’s who took an early lead. It was clear though that this was going to be a different harps performance than those in previous weeks. Getting on much more ball in the middle of the field and putting early ball into a lively full forward line allowed the girls to get a firm grip on this game. Working hard for each other all over the field Harps never allowed the visitors to settle into their rhythm though to their credit St Mary’s kicked some excellent scores in the first half and lead at half time. In the 2nd half St Mary’s tried to cut the supply of ball to the harps full forward line by dropping 2 extra players back. This seemed to have the desired effect but as the Harps team started to run the ball they had the Mary’s defence in trouble once again. Harps dominated the 3rd quarter and as the game entered the closing stages they looked set to get the win. But St Mary’s never gave up and thanks to their greater experience carved out some crucial late scores to win the game on a final score of Eastern Harps 5-11 St Mary’s 5-16. Though it may not be fair to name names after such a good team display it was great to see the newcomers to the team, Leanne Powell, Zara Stafford, Rachel Hogge and Shannon Doherty each have an excellent game. While disappointed to lose Harps can look forward to the start of the championship on the evidence of this showing. St Mary’s, too had some excellent performers on the evening and will no doubt be looking to go one better in this years Intermediate Championship.